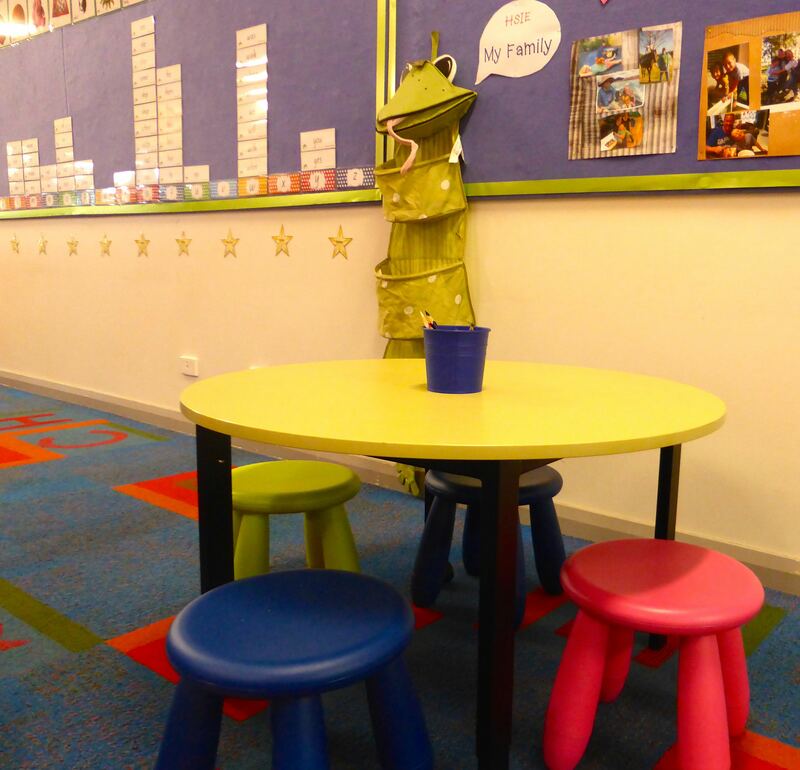 In the school where I work, we are incredibly blessed to have access to beautiful, colourful furniture and classrooms with walls brightly painted in all the colours of the rainbow. I believe this makes an incredible difference to the feel of the teaching and learning environment, but I always remind my students that they are incredibly blessed to learn in such a school, as there are few schools in the area that have as much as we do. 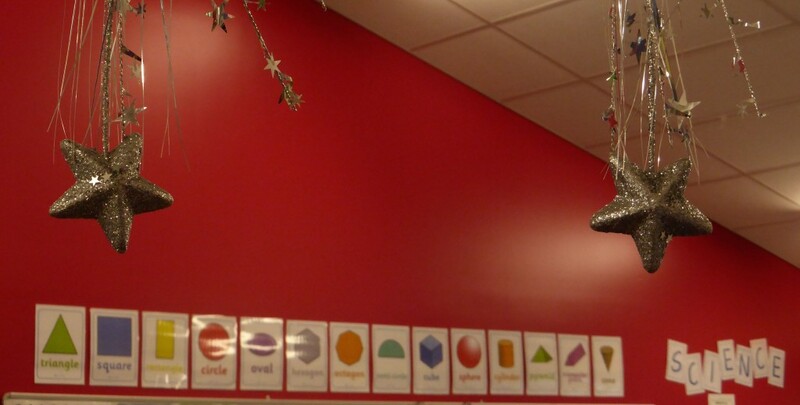 When setting up a learning space, there are many things to consider. Students need to know where their belongings live. 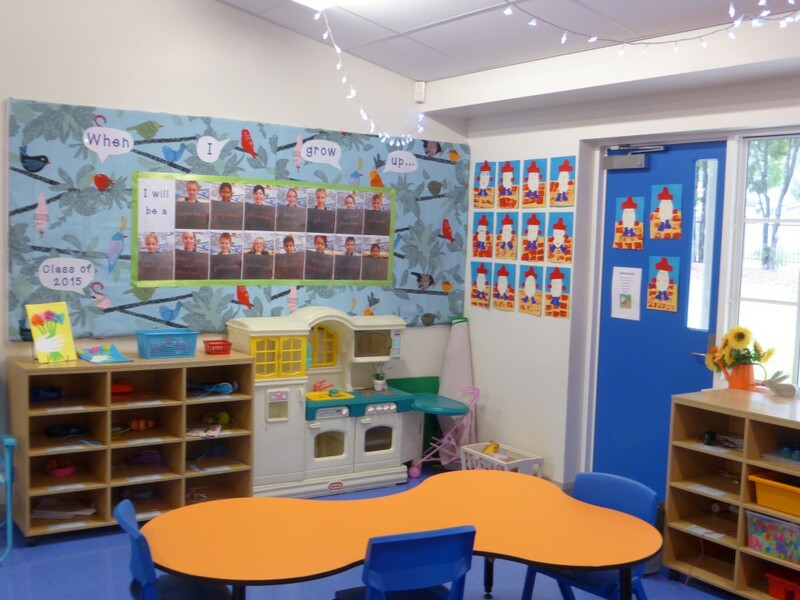 For Kindy students, we have a personal ‘hat hole’ which also holds their headphones, their daily piece of fruit for crunch ‘n sip time, along with news items, etc. We also have bag tags on the wall so students always know where their bag belongs, and everyone is encouraged to keep this neat and tidy. 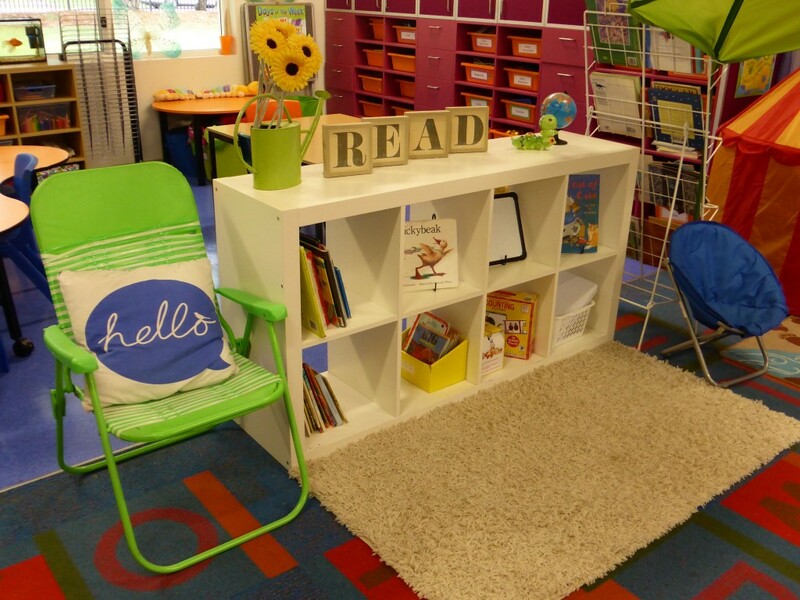 A reading corner is an essential area, and students should be able to see where this is the minute they walk into the classroom. 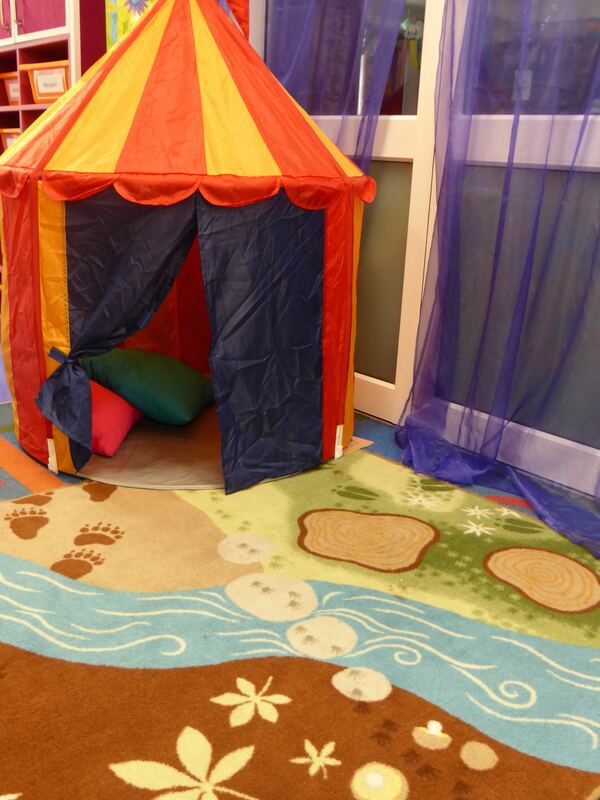 I like my area to encourage quiet reading as well as collaborative reading where appropriate and I have a mixture of relaxation chairs and a tent from Ikea (teacher’s paradise) for those students who on occasion may just need some time to themselves. 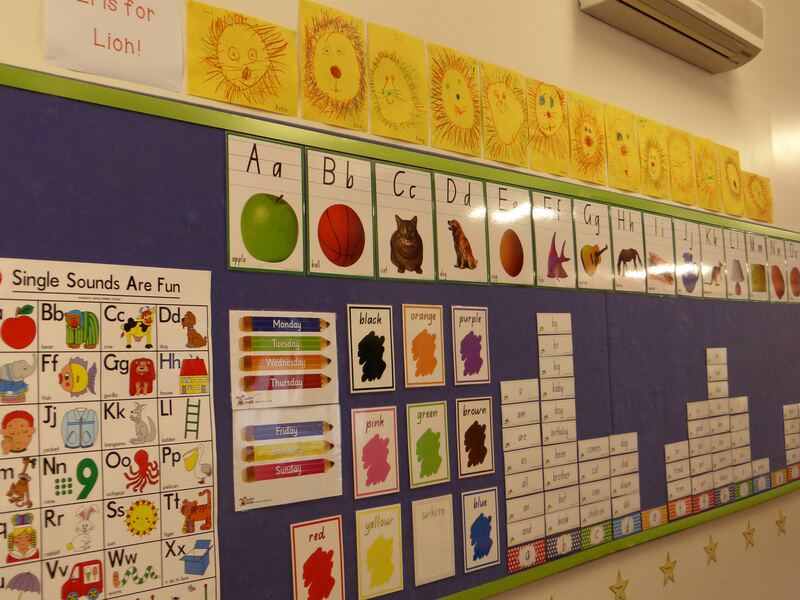 I prefer students’ desks to be grouped together, to allow for collaborative work, but I also need students to be able to view our Interactive White Board when necessary. We also have an art/messy play area, where students will use everything from paint, to playdoh and kinetic sand. 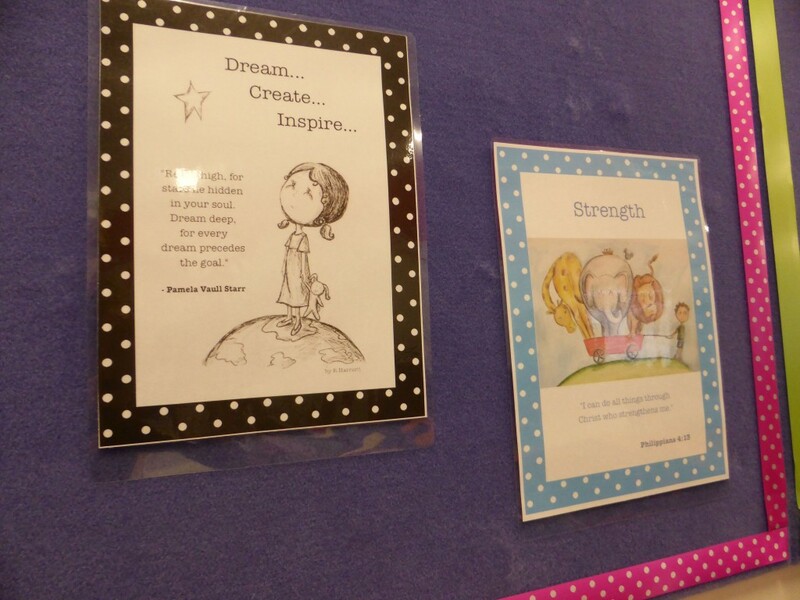 What I love most about developing the feel of the classroom is displaying student work and filling the walls with images and words that reinforce love to the students. In order for them to learn at their fullest potential, they need to feel safe, valued and cared for. They need to get excited about their day as they enter the room and they need to know that the environment is one in which they are able to make mistakes without fear of condemnation. I want my students to have the confidence to share new ideas with myself and the class. I do not want them to fear that their answer may be the wrong one. I regularly remind my students that I too make mistakes daily. As humans, we will never be perfect, and we can only strive to do our best in all things. … “My grace is sufficient for you, for my power is made perfect in weakness.” Therefore I will boast all the more gladly about my weaknesses, so that Christ’s power may rest on me. Even as adults we can fear making mistakes to the point it can hinder our own ideas and growth. In everything we do, if we can learn to acknowledge our weakness and rest on Christ’s power, then we are sure to accomplish so much more than we ever could without him. Children of all ages need to realise this too. They need to feel comfortable in acknowledging their failings and fears, without it controlling their actions. In the classroom, students need hope. They need the four walls around them, along with the teacher standing in it, to remind them that they are of value, their thoughts matter and that they have a unique purpose in the school, in their family and in the world. 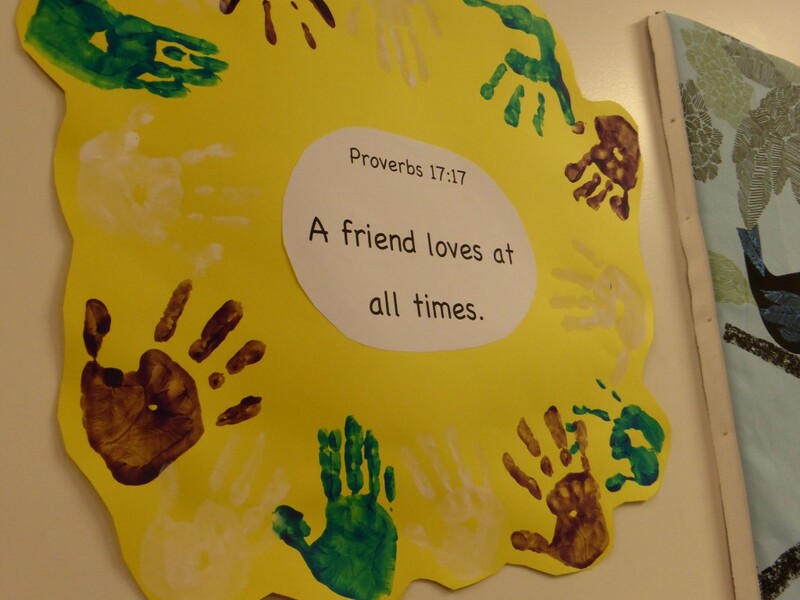 Their work on the wall affirms this, positive images speak this and encouraging words from their teacher declares this. 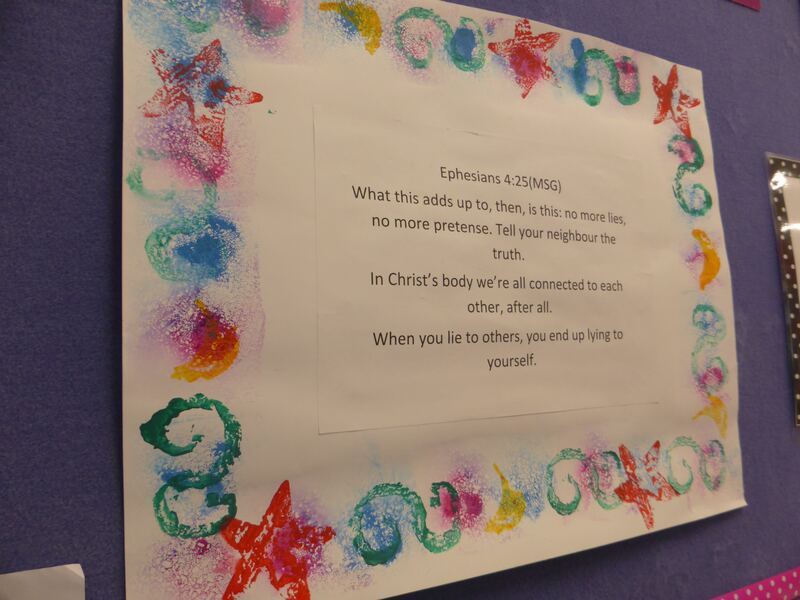 One of my Year 1 students once gave me a poster she had created, at the end of a school year. While it has been over 2 years since I taught her, it still hangs proudly on my wall as a reminder to myself and my class of the words it contains from Ephesians 4:25 (MSG). This verse reminds us, that we as teachers still need to have a certain level of transparency with our students. They need to know that we are real, that we often feel the same emotions they do, and that we too make mistakes. If your students see you as some kind of all powerful ruler, then you probably have the wrong relationship with them. Children learn more by watching us (parents and teachers alike) than we could ever hope to teach them from a textbook. So, my advice to you when setting up or refreshing the classroom for your students? Let them feel safe, let them see hope and let them know love. 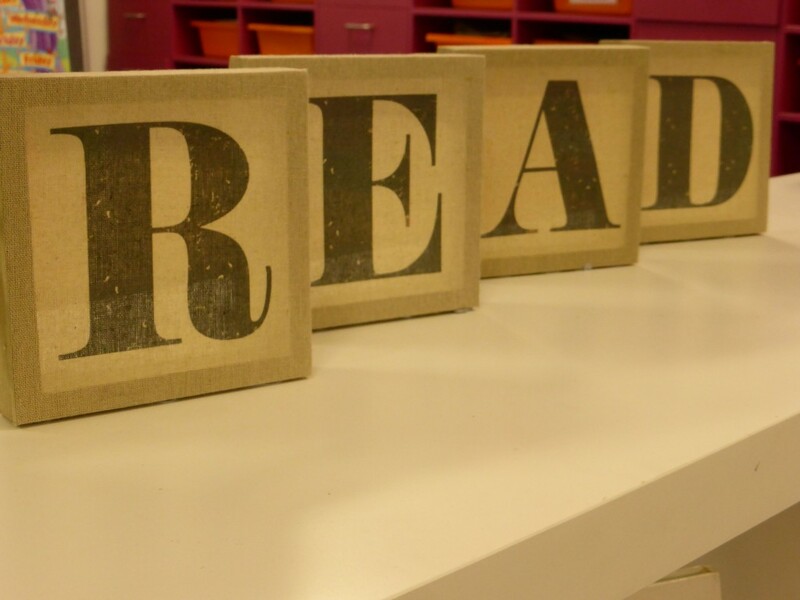 In whatever way you can best express this, then let it shine brightly in your room for all to see.